Choosing the right cables for your security needs is easier than you think! When it comes to finding the perfect cabling infrastructure for security, it is necessary to work with a distribution partner that will be able to provide the proper education, training, and products for your specific needs. In fact, in a modern physical security network, every single camera or access door controller must only be viewed as a singular data point, not just as a security node within the network. As a result, using high-performance structured cables allows for a wide-range of devices from IP-based systems to serial devices to be interconnected instantaneously. Over a substantial amount of time, the need to replace technological hardware increases. In fact, with technological advances occurring significantly more rapidly as of late, having the right cabling installation in place is crucial. As a result, it is critical to install at least a category six for a business who is looking to be able to integrate new technology in the future. Due to the incredible affordability and ease of installation, it should come as absolutely no surprise that twisted-pair cabling is typically the choice for security systems. Unshielded twisted pair (UTP) cabling is manufactured naturally devoid of a shield on either the outer jacket or wire insulation. However, shielded twisted pair cabling (F/UTP, or S/FTP), has an entirely different set of maintenance and installation rules that are based on the exact design of the cables themselves. All cabling that is compliant with the standards of the Telecommunication Industry Association (TIA) or International Organization for Standardization (ISO) is backward compatible. In fact, an end-to-end channel is typically only as good as its weakest link. As a result, since information is often dropped if data packets are received in error, significant degradation in the video could easily be caused when viewed on the network itself. 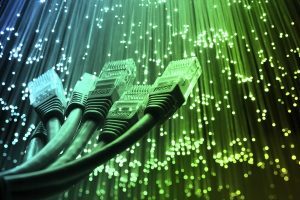 Now, more than ever before, the Power of Ethernet (PoE) has expanded and grown. In fact, a new version of PoE over twisted-pair cabling is currently being developed to better provide a secure infrastructure to commercial business. This entry was posted on Wednesday, September 13th, 2017 at 10:38 am. Both comments and pings are currently closed.